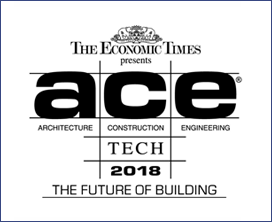 ACETECH is a series of Asia's largest architecture, building materials, design and decor exhibitions, recognised as India’s premier portfolio of events for bringing major international and domestic players from the building and interiors industry. The Indian Construction Sector is valued at over US$ 126 billion. It is the second biggest employer in the country and contributes to over 10 percent of India's GDP. The Indian Government allows 100 percent FDI through the automatic route for townships, cities. With the construction industry burgeoning with innumerable possibilities and opportunities, everyone has a stake in its growth.